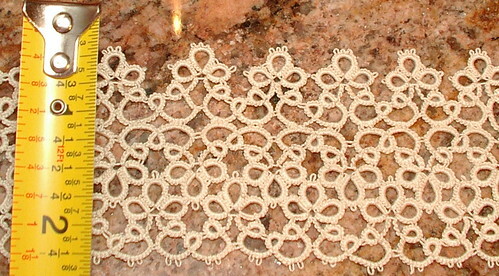 2 inch wide tatting, originally uploaded by sunshine's creations. This is a ruffly, two-inch wide tatted edging; this is one of my favorite motifs. Everything is a count of 4 double stitches, that makes it easy to remember. The only exception is the two picots on the chains at the bottom where you attach to the fabric that has two double stitches between them; same goes for the three picot in the top large ring on the trefoil. 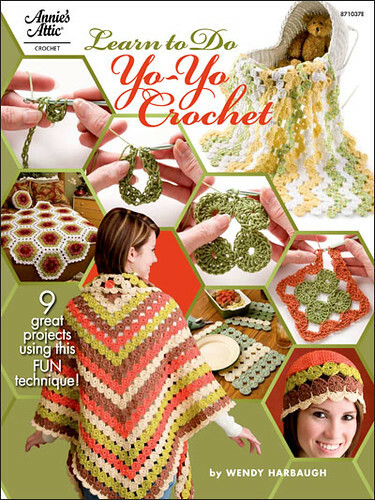 Check out the 25 motif tatting challenge; there is some real cool stuff that has been made. I guess that puts me at the little over half-way mark. What a beautiful edging. You have a lot of cool things here. The aprons are lovely, too! 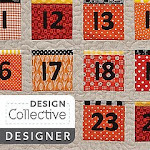 I blog hopped over here in from the 25 Motif Challenge.